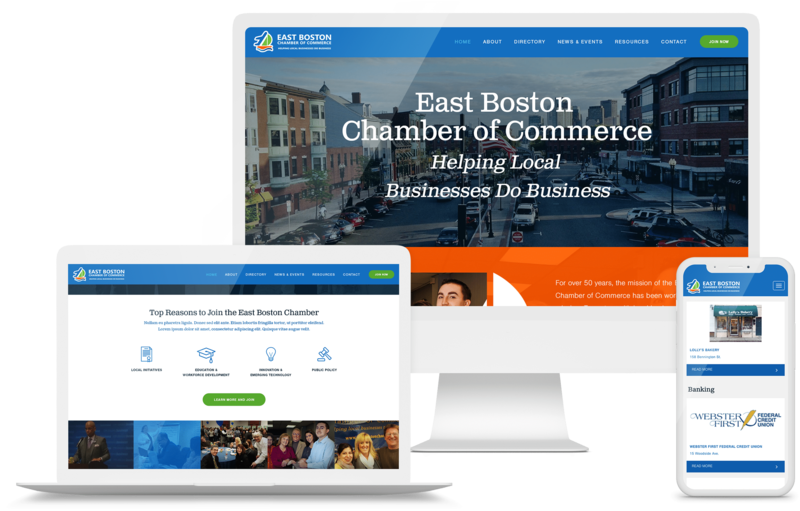 For over 50 years, the East Boston Chamber of Commerce has been working to fulfill its mission: To partner with local businesses to increase visibility and establish synergy among residents and businesses in order to make the community thrive! 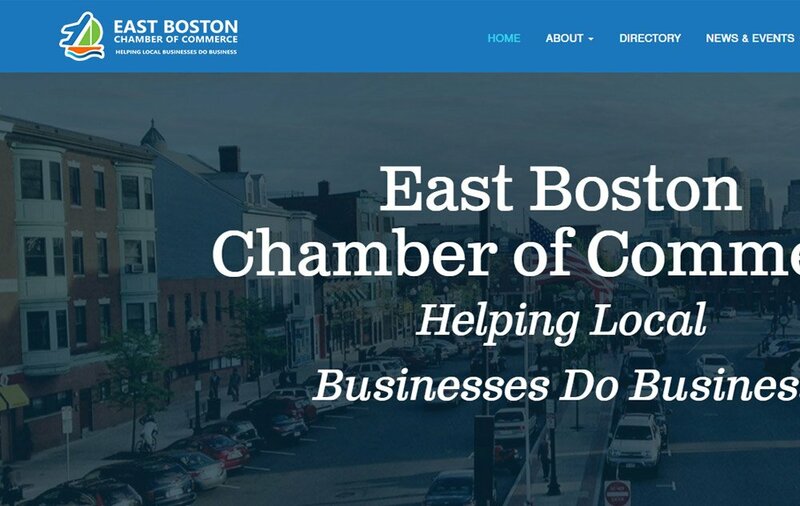 The East Boston Chamber of Commerce believes the success of East Boston's businesses has a trickle down effect to community organizations and families and improves overall quality of life in East Boston. Like any chamber of commerce, having a way to manage and promote your active or non-active chamber members is crucial to the success of a working and engaging website. This website design and development project included the building of a user-friendly online directory with searchable fields, category filters and more. Also included in this project was a back-end administration area to allow the Chamber to mark any chamber business member as active or non-active along with other key business information as a way to manage chamber members from an administrative level. Other key features of the new chamber website were a simple display of chamber board members, easy to use news and events display with automatic sorting of events along with an ever-growing media gallery. 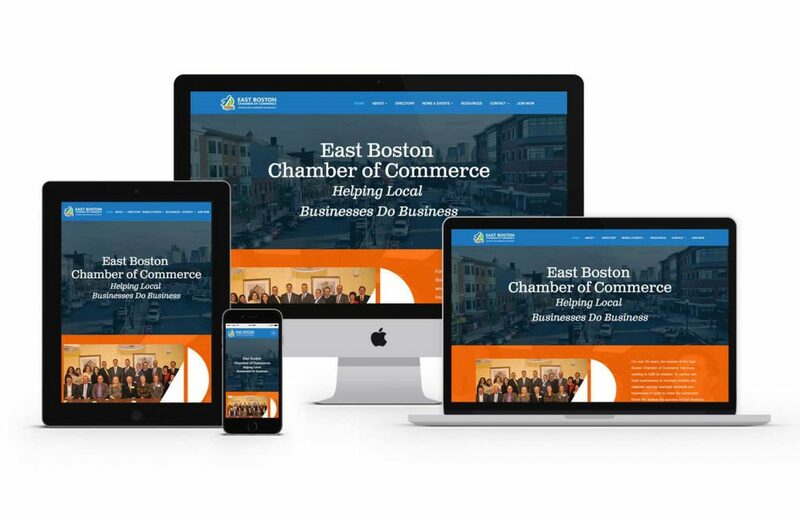 In addition to those features, the new East Boston Chamber of Commerce website was built within an admin-friendly CMS (Content Management System) and is fully mobile and tablet friendly. It leverages Bootstrap as the responsive framework so web visitors are certain to have a flawless experience across multiple devices.